Visiting S Rim Trail and Yellowstone Lake will get you outdoors. 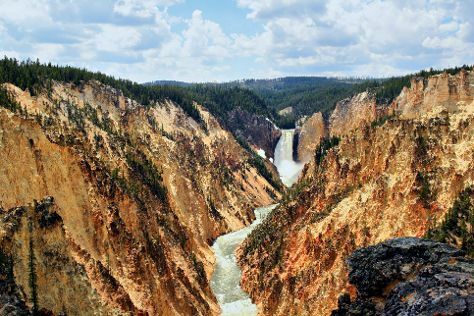 Spend the 5th (Wed) exploring nature at Yellowstone National Park. There's much more to do: witness a stunning natural landmark at Old Faithful, identify plant and animal life at Lehardy's Rapids, explore and take pictures at Lone Star Geyser, and hike along Artist Point. For photos, traveler tips, maps, and other tourist information, read our Yellowstone National Park trip itinerary builder tool . Cleveland to Yellowstone National Park is an approximately 9-hour combination of flight and car. You can also do a combination of flight, shuttle, and car; or drive. Due to the time zone difference, you'll gain 2 hours traveling from Cleveland to Yellowstone National Park. Traveling from Cleveland in May, you will find days in Yellowstone National Park are slightly colder (53°F), and nights are much colder (27°F). Finish up your sightseeing early on the 5th (Wed) so you can travel to Victor. Victor is the largest city in Teton County, Idaho, United States. 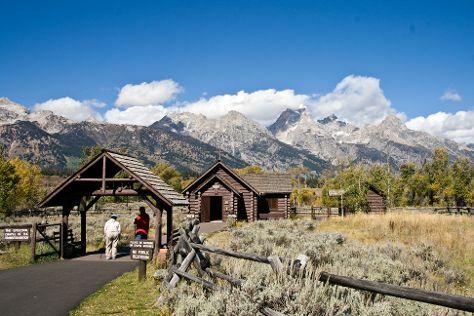 Kick off your visit on the 6th (Thu): take your sightseeing to a higher altitude at Grand Teton. On your second day here, explore the activities along Leigh Lake and then tee off at Headwaters Golf Club. To find ratings, where to stay, maps, and tourist information, read Victor trip planning site . The Route module can help you plan travel from Yellowstone National Park to Victor. Traveling from Yellowstone National Park in June, things will get a bit warmer in Victor: highs are around 73°F and lows about 43°F. Cap off your sightseeing on the 7th (Fri) early enough to travel to West Yellowstone. On the 8th (Sat), get your game on at Madison Avenue Old Time Photos, then get in on the family fun at Yellowstone Big Gun Fun, and then look for all kinds of wild species at Grizzly and Wolf Discovery Center. To see more things to do, traveler tips, ratings, and more tourist information, you can read our West Yellowstone trip itinerary planner . Traveling by car from Victor to West Yellowstone takes 2 hours. Traveling from Victor in June, you can expect nighttime temperatures to be little chillier in West Yellowstone, with lows of 35°F. Wrap up your sightseeing on the 8th (Sat) early enough to drive to Great Falls. Great Falls is a city in and the county seat of Cascade County, Montana, United States. Kick off your visit on the 9th (Sun): admire the masterpieces at C.M. Russell Museum, get to know the fascinating history of Lewis and Clark Interpretive Center, and then tee off at Valley View Garden Golf. To find ratings, reviews, more things to do, and more tourist information, read our Great Falls trip tool . Traveling by car from West Yellowstone to Great Falls takes 5 hours. Alternatively, you can fly; or do a combination of flight and shuttle. Traveling from West Yellowstone in June, expect Great Falls to be somewhat warmer, temps between 76°F and 47°F. Wrap up your sightseeing on the 9th (Sun) early enough to drive to West Glacier. West Glacier is an unincorporated community and census-designated place (CDP) in eastern Flathead County, Montana, United States. Start off your visit on the 10th (Mon): appreciate the extensive heritage of Garden Wall, then take a memorable tour with Tours, and then look for gifts at Willow's HuckleberryLand. On the 11th (Tue), you'll have a packed day of sightseeing: explore the striking landscape at Grinnell Glacier, then explore and take pictures at Going-to-the-Sun Road, and then take in the dramatic natural features at Jackson Glacier Overlook. To see where to stay, ratings, maps, and tourist information, read our West Glacier online holiday builder . Traveling by car from Great Falls to West Glacier takes 3.5 hours. Alternatively, you can do a combination of bus and train. June in West Glacier sees daily highs of 75°F and lows of 45°F at night. Wrap up your sightseeing on the 11th (Tue) to allow time to travel back home.